Ketoacidosis is a dangerous condition. 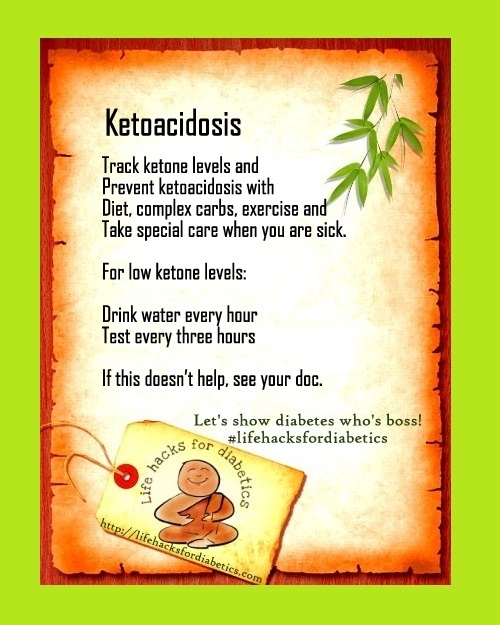 Track ketone levels and prevent ketoacidosis with Diet, complex carbs, exercise and take special care when you are sick. For low ketone levels: Drink water every hour, Test every three hours. If this doesn’t help, see your doc immediately. More about ketoacidosis and diabetes here.